I’ve never been impressed by curly parsley. I first ate it as a curious kid at a restaurant trying to be fancy by using parsley as a garnish. (It might have been a Long John Silvers.) It was tasteless, it strangely tickled the roof of my mouth, and the small leaves lodged themselves between my teeth after a few chews. Its relegation to garnish status made perfect sense. As an adult, I was dismayed by how many recipes called for parsley. Was there a highly-funded pro-parsley conglomerate lobbying cookbook authors and publishers to include the insipid herb in their recipes? 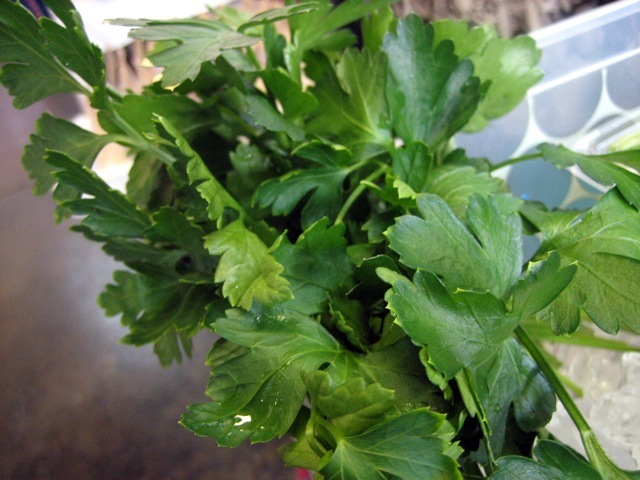 But then, I found flat-leaf parsley. It was zesty. It had girth. It was so hard to tell apart from cilantro.